Small things are just the best, aren’t they? When you think about it, small things almost always are more satisfying, better tasting, made with greater attention to detail, and are just so cute! Small goals are so satisfying when you achieve them while working hard to achieve a big goal. A small Belgian chocolate is so much more delicious than a giant candy bar. Small batch anything is always better. It is almost magic how the enjoyment we feel from small things is inversely proportional to their size. This is absolutely true in the intimate moments that we share when we are spending time with loved ones or a small group of friends. Most of the most magical moments of our life happen with one other person or in a small group. And of course, everyone knows the saying, “big things come in small packages.” Like diamond rings. 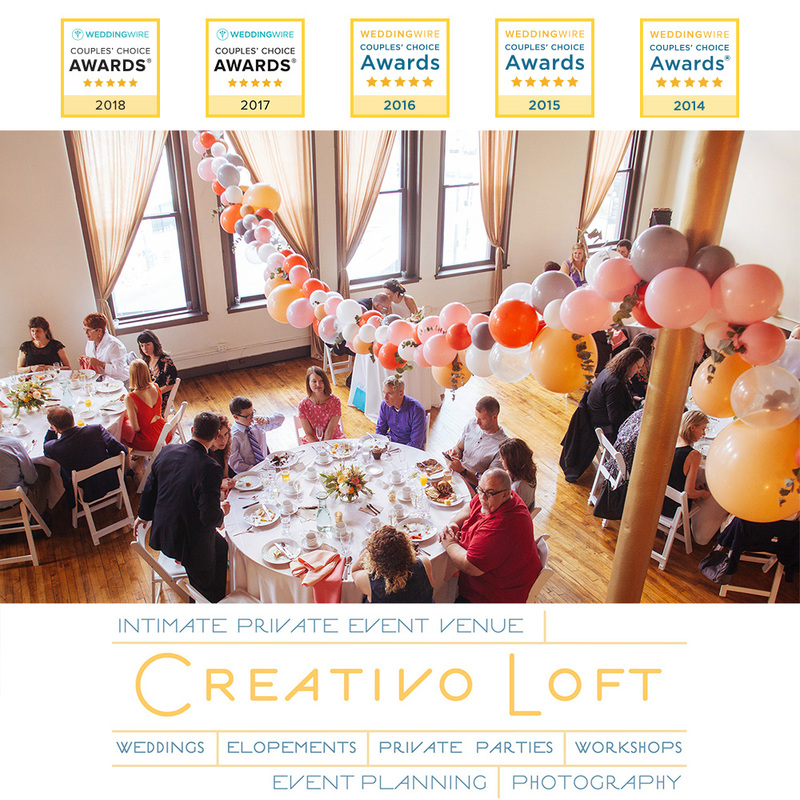 At Creativo Loft, we specialize in small weddings, microweddings and elopements. What is the difference between all of them? Well, it depends on who you ask, but at Creativo Loft we have made specific packages to help define these concepts for our clients. In brief, we consider a “regular” small wedding to be primarily defined by a schedule of 5 to 7 hours, regardless of group size, but typically there are over 40 people. Our Microweddings packages are like regular weddings, with all of the usual essential services and customs like catering, flowers, speeches, first dance, etc., but everything is condensed into a shorter schedule of 3 to 4 hours, with smaller groups no larger than 30 people (okay we’ll stretch to 40 max). So, Microweddings are something in between a regular wedding and an elopement. 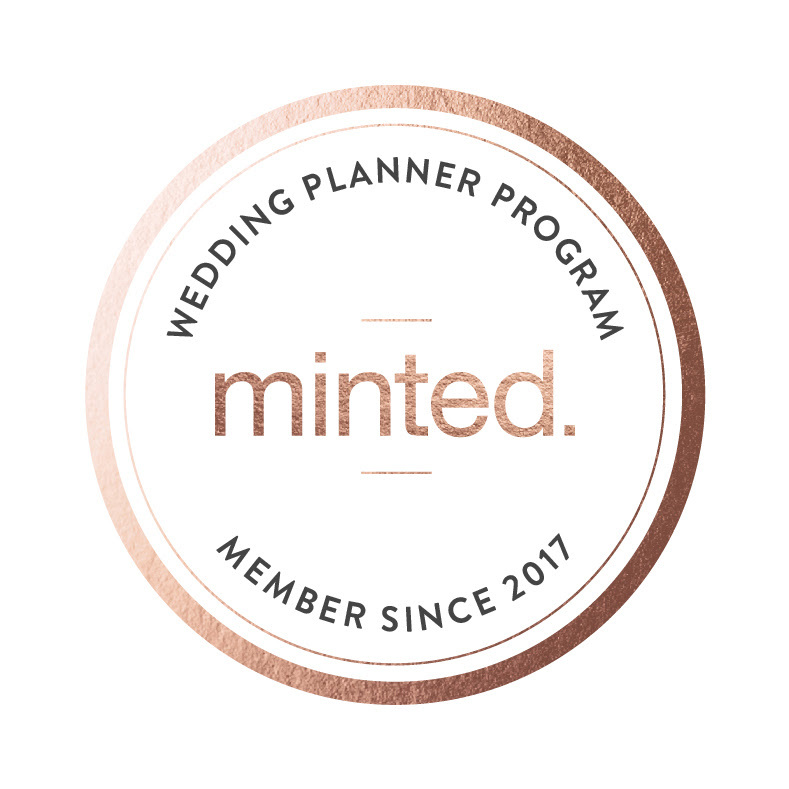 Our elopement packages range from just the couple (“classic elopement”) or with up to 30 guests attending (“group elopement”), but elopement services just start with ceremony and portraits for 1 or 2 hours, but don’t include all of the usual wedding services and customs as a “regular” wedding. 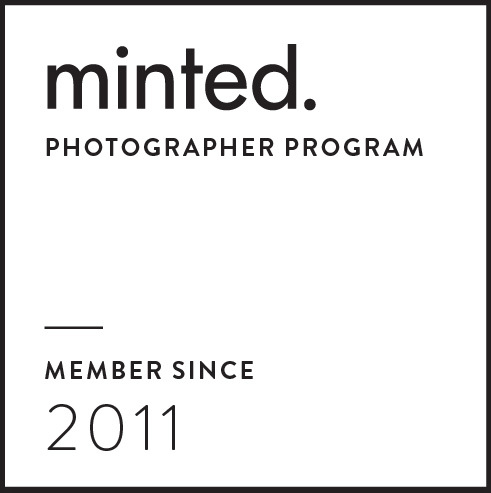 You can learn more about our packages on the SERVICES page. Life goals and financial priorities change after your mid 20s. The average age of couples getting married for the first time is currently 28-30. Second marriage couples are typically older than 30. Most of our Microwedding couples have other simultaneous priorities that involve major financial considerations, such as buying a home, expenses for their children or are starting a family, paying off college loans or going to grad school, or starting a new career. With more diverse life priorities as we age, the more practical and frugal couples may be when it comes to wedding planning. More couples are paying for everything, or most of the wedding expenses, by themselves. According to The Knot 2018 Real Weddings Study, the national average cost of a wedding was nearly $33,931. In major large cities like Chicago, the average cost in the downtown area can easily shoot up to $50,000 or more. The trend of couples marrying older, means their parents are also older. Younger couples still tend to have parents paying for the bulk of wedding expenses. In general, young adults are often still not typically as aware of their parents’ financial constraints as much as older couples may be, because as we get older, naturally we understand finances better as we have increasingly have more of our own responsibilities. So, if your parents are close to retirement age, or have already retired, it is no small thing to consider how an expensive wedding could be a big hit on their retirement savings. So, many couples are now choosing to pay for a smaller wedding on their own, with total budgets below $20,000. Not only are couples being more careful with their own finances, but they are also being more conscious about their parents’ finances, not wanting to put a burden on their parents during their golden years, especially if they are living on a modest fixed budget of their life savings. Our all-inclusive Microweddings at Creativo Loft start at $6300 for 20 people, so that is an enormous savings compared to wedding costs you would see planning for a standard or larger wedding just two miles west of us on Michigan Ave. in Chicago. Celebrate with your closest friends and family. Really, with any small wedding of around 100 people or less, you generally are able to actually visit with your guests. The smaller the group, the more this is possible. The celebration can feel more special and genuine when you can actually talk at length with all of your guests when you have a small group of 30 or less. Social anxiety can also be a major deciding factor to have a small wedding. Some folks dread being the center of attention, or just feel extreme anxiety in large group settings. When you just have your closest family and friends present, you can reduce the stress of social anxiety issues. Unfortunately, estranged and strained family relationships are more common than many people realize. To anyone with this situation…you are not alone. With a small wedding you can limit or eliminate including any potential toxic scenarios on your wedding day. There really are no rules, and social expectation can be lessened when you keep your plans small. It is okay for you to keep your guest list to the people who are only loving and supportive of you and your marriage. Really, it’s okay. Not everyone is a fan of wedding traditions. A lot of older traditions tend to be….well, um, misogynistic. The concepts of the bride being “given away,” doing the embarrassing garter removal and toss, and isolating all of the “single women” to dive after a bouquet…a lot of those customs have all falling out of favor in recent years with some folks. For LGBT couples, many traditional wedding customs are literally ridiculous, if not downright offensive. So, in general, with a smaller group, most couples tend to put less pressure on themselves to “follow the rules” of traditions. Certainly at our venue Creativo Loft there are no such rules wedding ceremonies or receptions. You can make your own customs and choose whatever symbolic moments that you want, traditional or otherwise, with our Microweddings or any other small wedding packages. Alternative group activities to incorporate into a wedding celebration are growing in popularity. Many of our couples have planned unique activities for their wedding day or wedding weekend, in addition to our Microwedding package. We have done morning brunches so couples can take their group out to a baseball game afterwards. Early evening packages are popular so groups can go to a fun bar for an “after party” late night celebration. One of our couples planned a whole weekend of activities such as architecture boat tour and mini golf, and our 3-hour Microwedding package helped them maximize their time for lots of fun. A lot of couples these days are TOO BUSY to plan a wedding. Our Microweddings are essentially pre-planned wedding packages, and are perfect for busy couples. I tease my clients that we can plan their wedding within a couple hours…and I’m not really joking. We have a handy online booking form where couples can make their custom selections and everything is streamlined as much as possible to try and make it as easy as we can. Pick your menu, pick your colors, customize a few options, and send a few inspiration photos…done and done. Luxury is made more affordable with our packages at Creativo Loft. While our packages are built with modest services for the starting rates, clients may upgrade some services for an enhanced experience. We can rent fancy chairs, upgrade linens, add a custom altar, add more photography time and locations, or incorporate other customizing. Of course costs will increase, but generally not astronomically. I mean if you only have 3 or 4 banquet tables to start with (instead of 15 or 20 like a big wedding), then getting more fancy linens might be $100 upgrade, or maybe getting larger centerpieces could be a couple hundred more. So adding a bit more luxury can be done without breaking the bank with our Microweddings packages at Creativo Loft.